Whilst counting at Braddock in May I was lucky enough to get to hang out with Yoav Perlman (blog here) and Jonathan Meyrav from the Israeli Ornithological Center (website here). I managed to share with them a drizzly but incredible morning’s warbler watching along Lake Ontario (Yoav’s blog post here) and we spent time both enjoying birds and talking about some of the challenges that face conservation organizations in our respective countries. 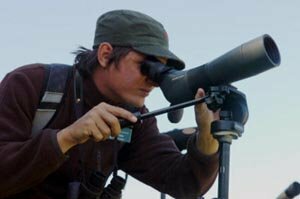 There are probably just a handful of places that can regularly hope to see a million plus raptors in migration in the world including Batumi in Georgia, Kekoldi in Costa Rica, Veracruz in Mexico and Eilat in Israel. Though the migration in Eilat takes place in spring the Fall migration in Israel can be highly impressive too. There has been an annual Fall ‘Soaring Birds’survey (they log storks, pelicans and cranes as well raptors) there since 1982. Initially, due to a lack of qualified birders, the IOC were dependent on drafting in a few foreign birders to complete their surveys (people like Frank Nicoletti from Hawk Ridge and Riff Raff hawkwatch page founder Pete Gustas spent time there). Now they are at the point where a blossoming birding scene allows them to complete the surveys without recourse to outside help: which is good for the IOC but means that you now really need to get a personal invite in order to join them for the season. 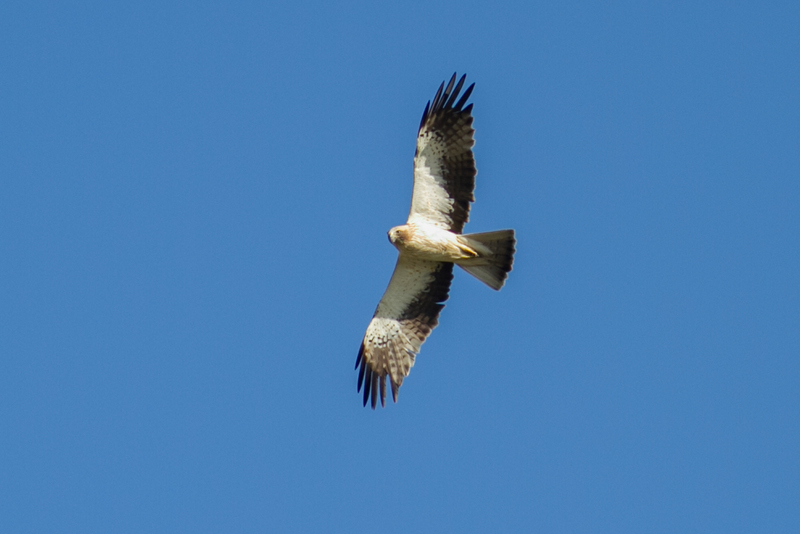 As well as the storks and cranes there are around twenty species of raptors to tally, which compares quite favorably with many US hawkwatches. The numbers of the most abundant migrants are impressive too: 300,000 White Storks, 400,000 Honey Buzzards, 50-60,000 Levant Sparrowhawks and 100,000 Lesser-spotted Eagles pass through this small country each Fall. As with raptors in the US some of these species, like Levant Sparrowhawk, live in areas that are rarely surveyed, so the fact that most of them migrate through this little birding bottleneck means it’s probably as good a place as any to see trends in their population. Also as in the US there are a string of different manned sites (in Israel just a few kilometers apart) across the country that track the migration and which fulfill the very same dual objectives that we have at sites here: tracking the flight and educating and inspiring the public’s interest in birds. Some sites are relatively remote, but importantly one is just a few miles from Tel Aviv in order to encourage and facilitate visits from both adults and school children. It’s a migration that I have always wanted to witness and having a month or two hole in the schedule this year and a generous invite from Jonathan and Yoav has given me the opportunity to do so. Being a big fan of Middle Eastern food and owner of every Ottolenghi cookbook I’m equally looking forward to the culinary experience too. 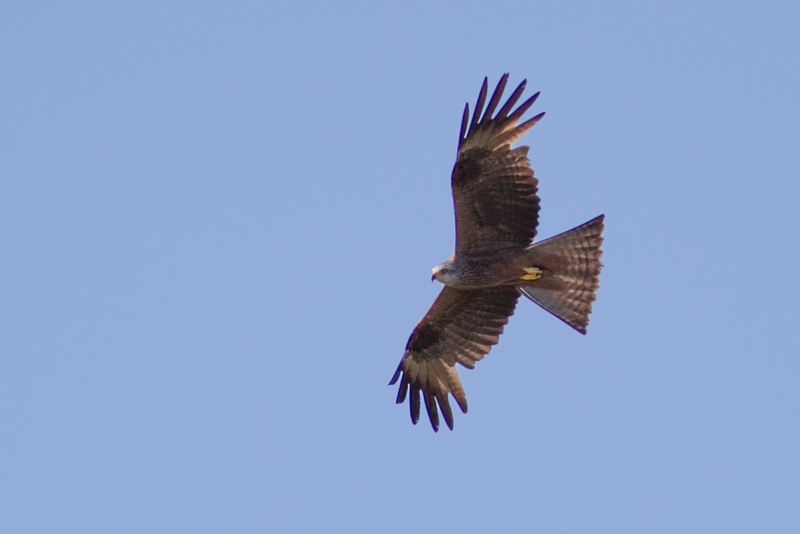 I’ll be updating my personal blog (here) with pictures, eBird checklists etc as often as possible while I am there as well as updating the HMANA blog with what we are seeing out there during International Hawk Migration Week. Come join me online for the adventure.